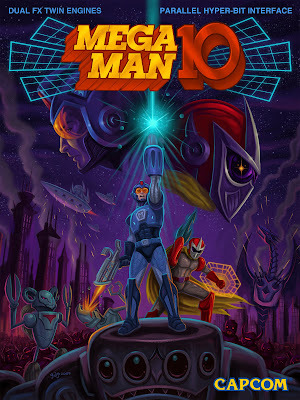 Voting has begun for the weekly Mega Man 10 fan-art contest. Users can vote on their favorite piece of Sheep Man art from now until Monday. The entries can be found in this gallery here, and you can place your vote at PollDaddy. Cookie and IP address blocks are in place, so you may only vote once! "More great functions are now also available in Time Attack. Including the replay function, you can see people’s top Time Attack rankings. Using Super Play to watch everyone on top of the rankings, you can enjoy the best time or make some notes. Playing for top rank, it’ll be the opportunity to unveil an amazing player! Some players will have confidence in their ability, just watching others, participating more and more!" Interesting. Hope to hear more details soon! Online retailer GMStar's Rockman Zero Collection pre-order page has revealed two new modes for the upcoming game. 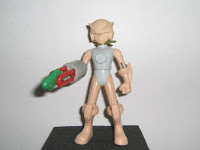 Do You Want Rockman Kubricks Sold Outside of Japan? 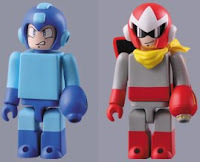 "If you watched the live Mega Man 22nd Birthday Celebration back in December, you'll probably remember these Medicom Mega Man Kubrick and BearBrick figures. 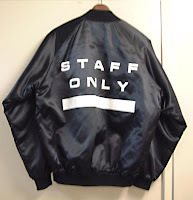 The problem is, they're only available in Japan. Here's where you come in. 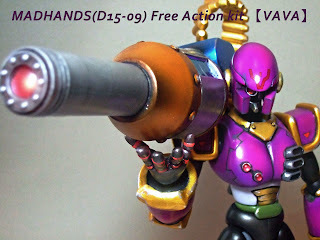 If you'd like to see these figures come stateside, hit the comments!" If this is something relevant to your interest, make your way over to Capcom Unity and drop a comment! 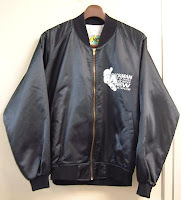 Japanese fan-site Rockmania recently got a hold of a bit of a rarity: a Rockman team staff jacket. Pretty sweet, no? I imagine this would fetch a pretty penny, but its sentimental value has got to be through the roof; unlikely Yoshida will ever part with it. Thanks for the tip, Jay. 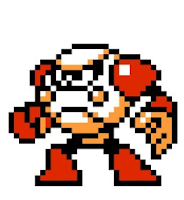 What if Mega Man were an invincible, unstoppable force? Capable of not only walking on top of pesky spikes, but also defeating foes simply by walking into them? 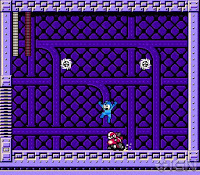 Well, unfortunately, Mega Man wasn't built to be that tough, but 'Sparta Man' is. 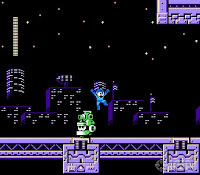 The star of the new game from Newgrounds, Sparta Man 2, does everything that Mega Man can't do. It's quite a satisfying little game, a great diversion if you've got a few minutes to burn! 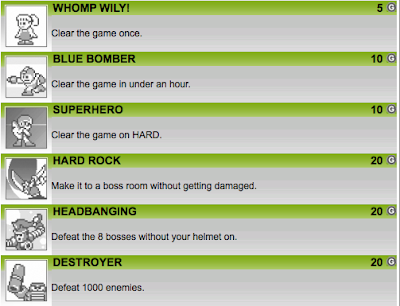 Give it a whirl at Newgrounds. 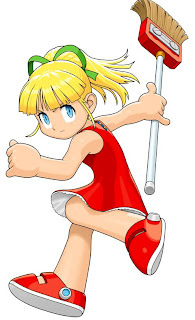 The film, directed and co-written by none other than Keiji Inafune, will debut this year exclusively on Xbox LIVE. They said it wouldn't happen, but it is! The highly anticipated fighter, Tatsunoko Vs Capcom: Ultimate All Stars hits retailers nationwide tomorrow. Although TvC is arriving on shelves tomorrow, reports have come in that some stores, namely K-Mart and Wal-Mart, have already begun selling the game as early as Saturday. Call ahead of time, and see if they have it in stock before making the trip! 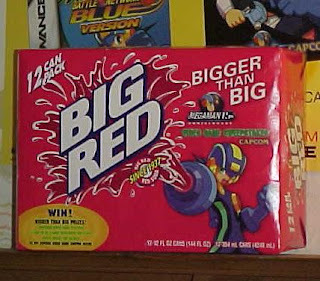 Yet another phase of Capcom's Mega Man 15th anniversary marketing blitz, the blue bomber here graced packages of Big Red soda pop in the fall of 2003. Apparently, the promotion featured a special offer that let you save $5 on upcoming Mega Man games, and a sweepstakes to win a trip to become a "developer for a day" at Capcom HQ. What a prize, eh? I wonder what became of the winner...? Now I don't remember seeing this particular promotion offered at my local grocery store, but I do recall memories of a similar promotion with ASAP Pop-corn. I still have that package lying around somewhere; I'll post it up when I find it! 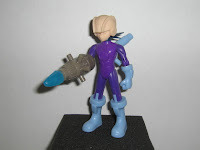 VendorMan's is currently offering, among other goods, three unreleased NT Warrior prototype figures: ElecTeam Mega Man, WoodShield Mega Man and AquaCustom Mega Man. These not-so-common figures will run you $24.95 a pop. There's only one available of each, so if you want them, you'd better act quick! For details on how to order, hop on over to VendorMan's. 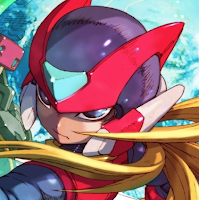 Famed Mega Man series composer Ippo Yamada, who has been involved with the music for the ZX series, and Mega Man 9, among others, is said to be working on new arrangements of Zero series music. On his official blog, Yamada had the following to say: "Tonight I'm planning on an all-nighter working on Zero melody arrangements." Immediately, I'm left to wonder if he's involved in the Zero Collection project, possibly producing remixes for the game, or maybe he's simply putting together another arrange CD album. Who knows at this point. Hopefully, Yamada will enlighten us sooner rather than later! We'll keep you posted. 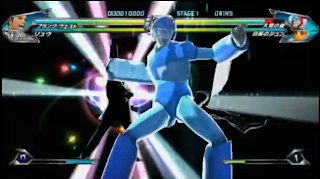 An attendee of the World Hobby Fair has come through with some excellent footage of the final decisive match in the Rockman EXE Operate Shooting Star tournament 'Survival Net Battle Neo.' The tournament just wrapped up last weekend at Japan's World Hobby Fair where fans of varying ages competed to become the top Net Battler. 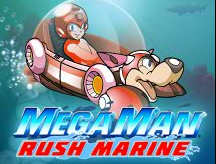 The BlackBerry version of Mega Man Rush Marine has gone live, and is now available for purchase on a number of BlackBerry mobile devices. The game will run you $6.99, and can be purchased off of your 'berry's on-device store, or from specialty sites like Bplay. A list of compatible devices and services here. Still no word on an iPhone version, unfortunately. 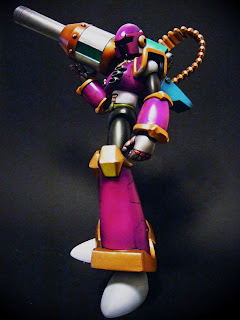 "It is something we will think about after seeing how well the Megamix and ZX mangas sell. If these series do initially well, next we would do Ariga's Gigamix, and then think more seriously about Iwamoto's X manga. 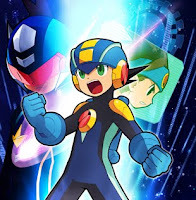 3) price - since the X series is less popular than the classic mega man, and the art style might not be for everyone, we'd expect this series might not sell as well, so we might have to raise the price a little if we did this series. I have checked out some of it though. It's definitely a little more old school that our other manga series, but it has its own charm. Story wise I'm afraid I haven't read enough to comment yet. " Personally, I'd love to see these in English, but I can see where Matt's coming from on this one. So, what say you? "If we did do the X mangas, I'm pretty sure we would do them in the 5 mega-volume collection format. But even in this format, there would still be a lot of investment needed. By investment meant I meant not only the cost of licensing fees, but also the cost of translation, lettering, printing etc. Even if we licensed only the first MMX mega book as a test run, that book is huge, like almost 600 pages (I have a copy on my desk here actually heh). Just the first volume be about as much work as the whole Megamix series. So there's that to consider. 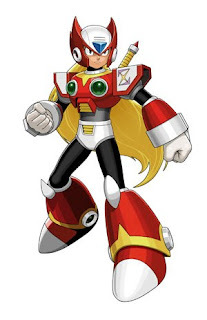 On MMX's popularity, there are definitely tons of X fans out there, I know, and they are a dedicated bunch. But as a spinoff it's always going to be less popular than the core series. We can see this with our two mm complete works books. Released at the same time, same price, similar contents, MM Classic OCW is selling better than MMX OCW. Neither sells BAD, but there is a gap between them for sure. So when thinking of X manga, we have to assume that sales on it VS the classic Ariga stuff will have a similar sales gap. Also a longer series with a more expensive price point per volume (regardless of page count) affects sales as well. It's a much tougher sell to the casual buyer. But even with all that, it's not to say any of this is a deal breaker, it's all just things we have to keep in mind." 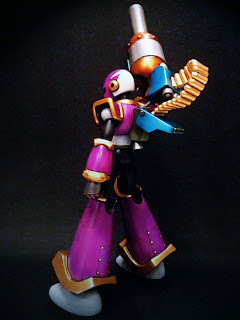 The kit, made by a fellow going by the name of 'Rockman@Hyou', will be available in limited quantities, and since it's a custom, will likely sell for a pretty penny. Pricing is TBA. You can catch a glimpse of more upcoming Wonder Festival figures (including a mini-Rockman figure) at Tomopop. In anticipation for Mega Man 10's March release, Capcom is throwing together a fan-art contest where you could be eligible to win some pretty sweet prizes. 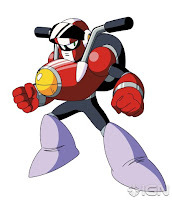 Each week, Capcom will spotlight one of the eight Mega Man 10 Robot Masters, and it's up to you to either draw or create a piece of art that features that specific Robot Master in some shape or form. This week, it's none other than Commando Man! Well, what do you think? 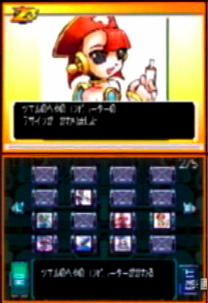 The bottom screen looks to be used to navigate through a database of sorts and depict character artwork during gameplay sequences. So far, Zero Collection is looking pretty spiffy. Here's hoping Capcom will shed some light on extra content and such soon! 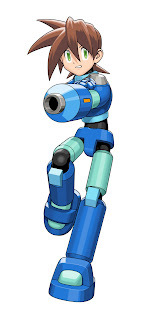 [via Rockman Zero Collection official website] Thanks for the heads up, Repliroid20XX. 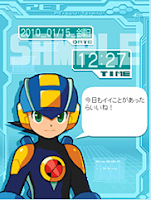 The Rockman Zero modification cards were cards sold exclusively in Japan in 2004, and when used with Nintendo's e-Reader device, they would make minor modifications to Rockman Zero's 3 gameplay. To accommodate for the lack of an e-Reader, Zero Collection looks to be integrating this system into the game in some way. 'Course, this is just speculation, so don't take my word for it. Was formally announced at the event right after the OSS Survival NEO Net Battle tournament, with screens of the game shown. There was also a one page ad for it in the event pamphlet. 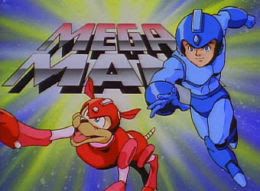 A promotional movie featured both artwork from the games and official character illustrations. A new feature to called the Collection Mode for now was announced. Details about it are unclear, but it may be gallery mode to view character artwork and such. 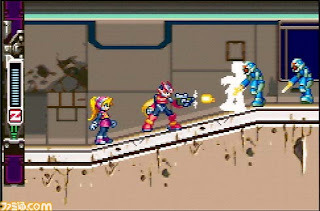 Unlike the CES demo, this demo featured both Strike Man’s and Blade Man’s stages playable to completion (though it’s not mentioned if they had Robot Masters). 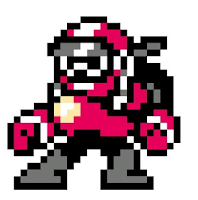 Proto Man was playable for the demo in both easy and normal modes. Strike Man’s stage midboss is called Goalie Keeper. 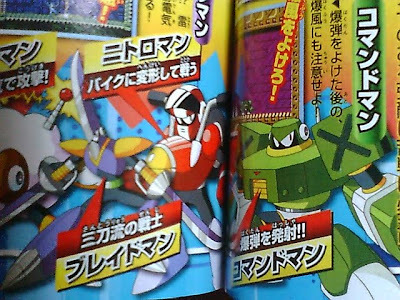 Blade Man’s stage midboss is a castle-like robot (as seen in the promotional video). Its eyes are its weak point, and when defeated it throws up a white flag. 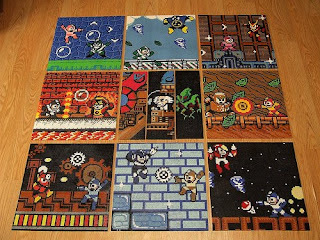 200 Mega Man 10 caps were given out to attendees. The WHF is still going on, so expect more updates throughout the day. Stay tuned! 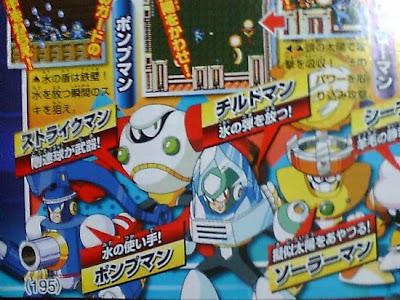 Mobile phone savvy Rockman fans in Japan have a pretty neat little gift awaiting them at the winter World Hobby Fair this weekend in the form of a Rockman EXE PET application. Accessing a special Q-Code at the event, attendees can get equipped with the free app which not only tells the time, but also provides users with EXE-themed trivia, emoticons, wallpapers and access to news and screenshots of current upcoming Capcom games. If your in Japan this weekend, stop by Capcom's booth and grab the app for yourself! 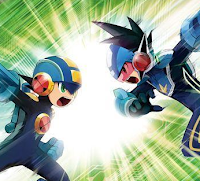 Anime Network launched a new video-on-demand streaming application for iPhone and iPod Touch mobile devices the other day, and the 'Ruby-Spears' Mega Man cartoon is being offered as one of the initial titles. The $6.99 subscription to the app gives users 30-days worth of streamed content with additional episodes and shows being added on a weekly basis. The subscription also enables access to a few Mega Man-themed wallpapers for use with either device. All in all, A pretty sweet (albeit pricey) deal if you're a fan of the show, more so if you've longed to take it on-the-go. For full details, download links and more, make your way over to The Anime Network here. Thanks for the tip, Neko. Pretty cool, wouldn't you say? The last time Mega Man Volnutt was featured in an English commercial was way back in late '99/early 2000 in this atrocity. Tatsunoko vs. Capcom: Ultimate All-Stars hits retailers nationwide on January 26th. According to the official site, the game will release on April 22nd for 4,190 Yen ($46). Other than that, details are pretty slim at the moment. I speculate we'll learn more during this weekend's World Hobby Fair in Japan, but I wouldn't bet on it. UPDATE: Would you like to see this collection released outside of Japan? Let Capcom know here! 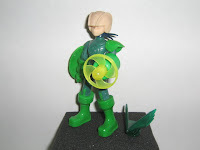 MM10's Blade Man, Solar Man Inspired By Old Fan Designs? 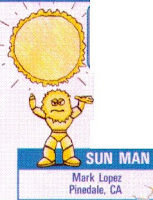 "Sun Man" and "Blade Man"(?!) 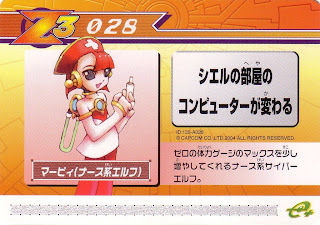 here are apparently old entries from Nintendo Power's design-a-Robot-Master contest. 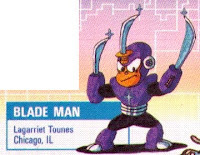 Back in the early 90's, Nintendo Power magazine gave North American fans a chance to submit designs for new Robot Master characters, who if chosen, would be featured in the newest Mega Man game, earning an honorary position among the Robot Master roster. These two didn't win back then, but it looks as if they're finally getting their due, fifteen years later. 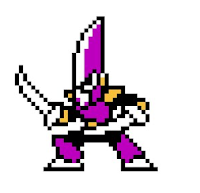 Tons more sprites, screenshots and artwork of each Robot Master here! Tonight, Capcom unveiled the much anticipated Suggestion Box, where you, the fans, submit suggestions/requests to the company. Before the head-honchos hear what you have to say, a community-wide vote will be held to determine who's suggestion is best. The winning suggestion will then be reviewed at one of Capcom's internal meetings, and be considered. That's right: if you want a specific Mega Man game to be developed, like Mega Man Legends 3, Mega Man X9, ZX3, Command Mission 2, etc., this is your big opportunity for Capcom to hear your demands! Before you go all hog wild, please be sure to read the complete details here. Once you got that out of the way, you may place your suggestions into the suggestion box here!